MFA, PhD, playwright, and author of the poetry collection Hen & God and the chapbook Daughter Eraser. 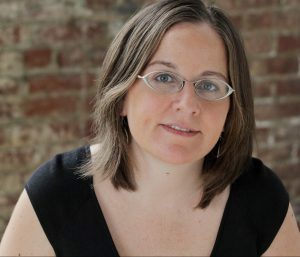 Ms. West’s writings have appeared in journals and anthologies such as Calyx, Puppetry International, and Furies: A Poetry Anthology of Women Warriors. She is the co-founder and director of the artist collective Alphabet Arts. I began writing poetry as a child because I grew up in a home where it was often not safe to speak. The voices and possibilities – the freedom – within ourselves that writing allows us to unlock is something I feel driven to share. Writing is a powerful act of exploration and in teaching it I utilize techniques that encourage writers to embrace their creative abundance, as well as to recognize the importance of experimentation, risk-taking, and collaboration. Since what’s perhaps most important to great writing is to keep writing, my goal is to expose students to a wide range of techniques and equip them with as many tools as possible to draw upon to cultivate and sustain their practice. Writers flourish the more they become aware of and learn to embrace their own process. In the earliest exploratory stages of writing, I often compare the process to a sculptor who makes her own clay, much more clay at first than will end up in her final sculpture, something from which she can shape and mold words and ideas into art.